12 | Mobilfunkfrequenzen: Droht das Aus für das C-Band? 26 | Was taugt der neue 8K-Fernseher von Samsung? 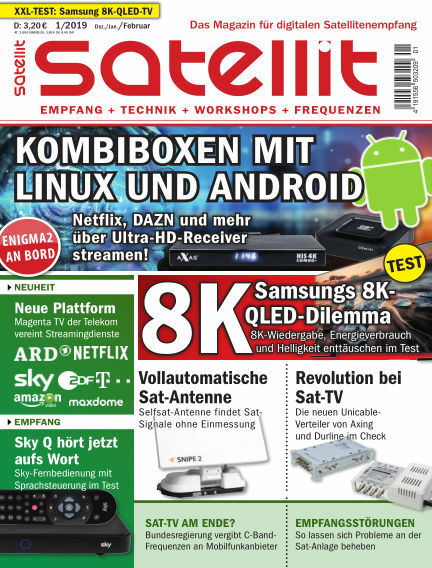 With Readly you can read SATELLIT EMPFANG + TECHNIK (issue 01/2019) and thousands of other magazines on your tablet and smartphone. Get access to all with just one subscription. New releases and back issues – all included.